According to reports from the latest technology magazines and from demos at the 2010 Consumer Electronics Show (CES), there’s a new type of technology on the horizon when it comes to home entertainment. Many leading technology and electronic makers are unveiling plans for 3D capabilities in super thin, super sleek models of TVs set to hit sometime this year or next. Samsung is among the companies unveiling a new line of 3D home entertainment products, including five 3D TVs, following its partnerships with DreamWorks Animation and Technicolor. According to a recent release, one of the focus points is the new 9000 series of TVs, which features a super thin LED structure equivalent to the width of a pencil. In addition to Samsung, both LG and Toshiba have released plans of their own 3D TVs and a variety of 3D capable gaming systems and other tech gear have made debuts at CES this month from makers like Microsoft. 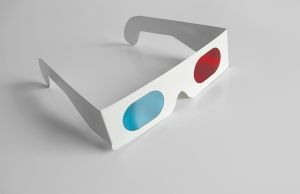 When 3D technology comes out, will you be adding it to your home? Tell us what you think about the possibility of watching movies in 3D, right in the comfort of your own living room.